The Hermon MTC Sunday school has currently 44 students in 13 classes and 13 teachers, and follow the North America & Europe Sunday school curriculum. Sunday school is now held before the Holy Communion service in which the classes are followed by common session for children to have fellowship, singing and offertory collection. Every month there is a theme on character and behaviour and children are encouraged to follow these in their everyday life. Our students appear for the regional annual Sunday school exams held across all churches in the UK and we congratulate all our students for their efforts in doing their best and being successful. Sunday school anniversary is celebrated during November every year after the Holy Communion service. We thank God for all His blessings and mercies on this ministry and pray that His abounding mercies may continue in the years to come on all our kids. 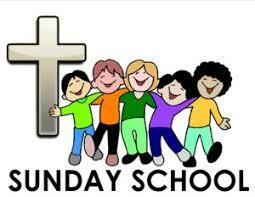 Our Sunday School Children regularly participate in the celebrating UK and Europe regions’ World Sunday School Day. This event was malso hosted by Hermon MTC on 5th November 2016 at Kings Heath Boys School, Birmingham. where More than 520 people including children and adults from 9 churches and 2 congregations within the UK attended.